The Federal High Court, Abuja, on Thursday admitted additional documents in evidence in the 32-count charge preferred against former Benue Governor, Gabriel Suswam by the Federal Government. At the resumed trial, the federal government, through its counsel, Aminu Alilu, tendered documents showing how N450 million was allegedly withdrawn from the state’s treasury. The second prosecution witness, a cashier at the Benue Government House, tendered the documents. The witness said that the money was said to be for the augmentation of 10 months running cost for the Government House. The documents included certified true copies of a memo to the governor, payment receipts and payment vouchers for the N450 million. There was also a letter to the Commissioner of Finance, under Suswam administration, Omadachi Oklobia in respect of the money. Justice Gabriel Kolawole adjourned the case until May 22 for cross examination of the witness. Mr Suswam is standing trial alongside Omadachi Oklobia, his former Commissioner of Finance and Janet Aluga, former Accountant, Benue Government House. They are facing a 32-count charge bordering on diversion of N9.7 billion, part of which was meant for Police Reform Programme and Subsidy Reinvestment and Empowerment Programme (SURE-P). 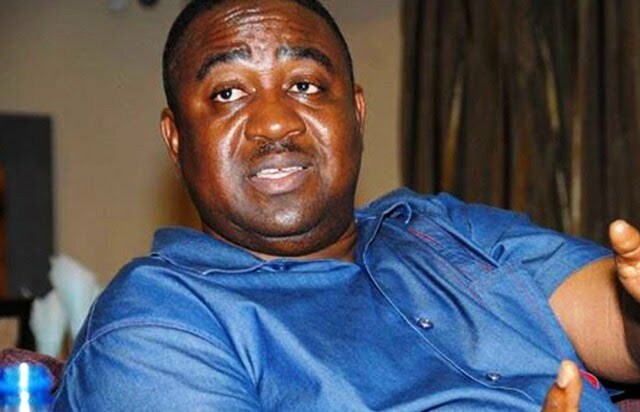 The defendants allegedly cornered the funds between 2012 and 2015 when Mr Suswam was governor of the state. They are also accused of conspiracy, conversion of property derived directly from corruption; collaboration to conceal property derived from corruption; obtaining by false pretence and accepting cash payments, exceeding the amount authorised by law. The offences are said to be contrary to, and punishable under various provisions of the Money Laundering (Prohibition) Act 2011, and the Advance Fee Fraud and Other Related Offences Act.